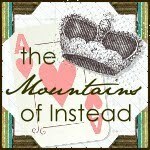 When Lily’s guardians decided to send her away to a fancy boarding school in Chicago, she was shocked. So was St. Sophia’s. Lily’s ultra-rich brat pack classmates think Lily should be the punchline to every joke, and on top of that, she’s hearing strange noises and seeing bizarre things in the shadows of the creepy building. The only thing keeping her sane is her roommate, Scout, but even Scout’s a little weird—she keeps disappearing late at night and won’t tell Lily where she’s been. But when a prank leaves Lily trapped in the catacombs beneath the school, Lily finds Scout running from a real monster. 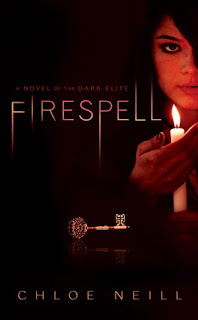 Firespell is a debut YA novel from Chloe Neill who has previously written the popular Chicagoland Vampires series for adults. I haven't read her adult books, but Firespell ticks all the right boxes for a paranormal YA range (this is the start of a series with Hexbound due out in January 2011). Firespell centres around Lily Parker – a fifteen year old who has been sent of to exclusive St. Sophia's all girls boarding school in Chicago. I'd not read anything set in Chicago before, neither is it somewhere that I have ever visited but it is clearly somewhere that the author holds great affection for as she writes about it with great love and loyalty which helps give the novel a real sense of place. Useful, as in the Chicago of Firespell all is not as Lily expected. From her new friend Scout disappearing on mysterious errands late at night, to a strange blank eyed girl loitering with intent on the streets surrounding the school it is clear from the start that Lily is about to be drawn into a new and exciting world of magic, monsters and hot guys (of course). So far, so good. Yet while all of this may not be what Lily was expecting, it certainly wasn't anything new to me, and neither were the characters. 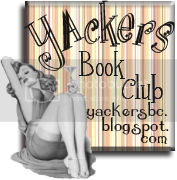 Lily is a character that, while great, reminded me of so many that I have read before. Smart, pretty, snarky (that oh-so-favoured trait of all female protagonists) and with a determination to stand up for what is write (those mean girls don't stand a chance, oh no) she could just as easily have shown up in say, Hex Hall or The Dark Powers trilogy (all of which were brought to mind while reading Firespell). Her friend Scout is also smart, pretty and snarky and they certainly work well as a pair. It was nice to see two girls pal up and work together instead of the protagonist instantly team up with the yummiest boy-with-dark-secret-slash-hidden-powers. Talking of which, said boy in this case is the scrummy Jason, who hovers in the background of the story looking delicious and occasionally dangerous. He is obviously going to play a larger part in future installments and I will look forward to that greatly. The story itself is lots of fun – I like a bit of magic and magic abounds in Firespell to great affect. The writing is very fast paced – considering that the entire story seems to take place in just over a week, a hell of a lot happens. However, while the build up was fun and the ending thrilling enough, I felt a little like Firespell was just the start of a really good book. It is printed in small format (it really is dinky) and comes in at just under 250 pages – were it printed in regular paperback size it would be very slight indeed and that is exactly how it feels. This could easily have worked as the first third of a longer story as it all felt very introductory. I've read the blurb for Hexbound and it certainly looks like things are going to get a bit more interesting but I can't help but thinking that they could have played out further in book one. In short, Firespell, while a lot of fun all seems faintly familiar. And faintly in this case would mean extremely. If you are a fan of the books that I referenced above then absolutely pick it up as it's an easy and fun read of an evening but be aware that it lacks their originality and flair – you won't regret it reading it, but it probably won't rock your world either. Cool review. I've never even heard of this one. I like boarding school type books, and dont mind the occasion magic/mystery thing. I'll keep an eye out for it. Love the name Scout. Very cool. I like the cover too. I thought this was fun too, but it definitely felt like the first in the series. I think the next one will be even better! I've also just recently heard about this book and have to admit that I'm not sure if this is a book that I would go out of my way to buy. I think, based on your review (which I thought was great by the way), that I would probably read it, but only if someone passed it my way.